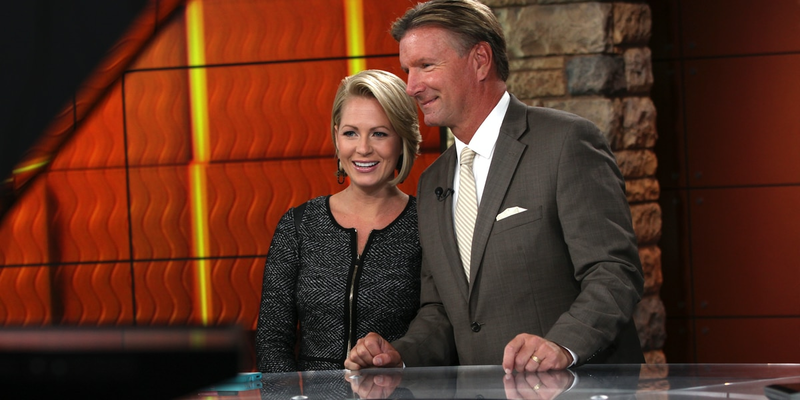 Lauren Jones (left) and John Boel anchor Sunrise every weekday morning on WAVE 3 News. On Thanksgiving Eve, Nov. 24, 1948, WAVE 3 News became the first television station to broadcast on-air in the Commonwealth of Kentucky, and the 41st in the country. The next day, WAVE televised the Male-Manual football game (a 14-0 Manual win) and six months later, became the first television station to produce a live broadcast of the Kentucky Derby. 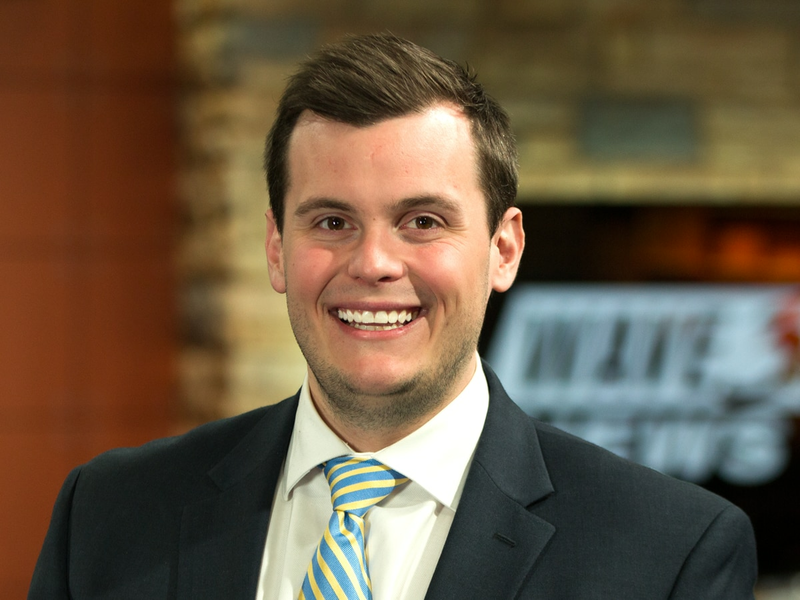 For the past two decades, WAVE 3 News has broadcast live coverage from Churchill Downs of daylong coverage for both the Kentucky Oaks on Friday and the Kentucky Derby on the first Saturday in May. And for more than 60 years, WAVE has televised live the Kentucky Derby Festival’s Pegasus Parade the Thursday before the Derby. Under the ownership of the Norton family, our first home was located at the corner of Preston and Broadway (now home to Metro United Way), in downtown Louisville. In July of 1959, the station moved one block west to 725 South Floyd Street to a new, 75,000-square-foot building, where we’ve been ever since. Coaxial cable reached Louisville in 1950, and once it did, Livingston Gilbert anchored the news for both WAVE's TV and radio audiences for nearly 40 years. In the 1950s, WAVE 3 News launched a series called Tomorrow's Champions, a show highlighting amateur boxers hosted by sports director Ed Kallay. One young local fighter named Cassius Clay even appeared on the show. He would later go on to shock the world as Muhammad Ali. Kallay also hosted a children’s show, Funny Flickers, also known as the Magic Forest, from 1953 to 1965. Also in the 1950s, WAVE 3 News held several “Bids for Kids” telethons. The 17-hour “Bids for Kids” telethon in May 1956, in cooperation with the Louisville Jaycees, raised more than $150,000 for Children’s Hospital. In 1953, the first telecast of a University of Kentucky football game aired on WAVE. WAVE has always been an NBC affiliate and on July 8, 1954, WAVE transmitted the first color TV seen in Kentucky and southern Indiana through the network. WAVE became the first television station in Kentucky to transmit live color on August 15, 1962, and the first to process its own news film in color in 1966. In 1955, WAVE inaugurated its FARM program, the only program telecast weekly from a station’s own farm (now Norton Commons). In early 1964, original founder George Norton was killed in a car crash, and his only son died the same way just a few months later. Norton's widow, Jane Morton Norton, took over president of the company in May of 1964. Once Norton solidified a corporate team, the group changed its name to Orion Broadcasting, and began to grow its reach with news and weather content, plus editorials and documentaries. News bureaus were established in Frankfort, Ky.; Indiana and Washington, D.C. Among the many national honors WAVE 3 News earned during this time of expansion was a Peabody Award in 1978. 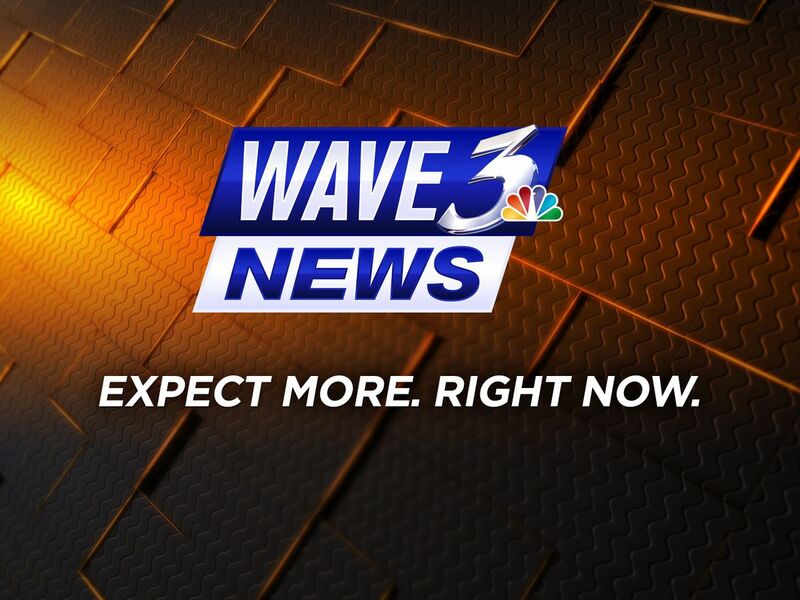 WAVE 3 News has since won dozens of Emmy awards. On Dec. 12, 1967, WAVE produced the first live telecast of the inauguration of a Kentucky governor – Louis B. Nunn. In 1968, WAVE became the first Louisville television station to broadcast editorials on a regular basis. Over the past decade, WAVE 3 News has broadcast more than 1,000 editorials. WAVE 3 News accomplished another historic first when Tom Wills became the Louisville market's first-ever certified television meteorologist July 14, 1969. WAVE 3 News was the No. 1 station in Louisville for the better part of two decades. Louisville is now the 48th-largest television market in the country, and considered one of the most competitive in America. In 1981, Liberty Corporation bought Orion and merged the Orion stations with its Cosmos Broadcasting unit. WAVE 3 News became the first local station to launch a 5 p.m. newscast in 1990. Jackie Hays anchored the newscast and worked at WAVE until she retired in 2009, the same year Tom Wills retired. In 2005, Alabama-based Raycom Media announced plans to purchase Liberty; that sale was finalized early in 2006. WAVE 3 News aired Kentucky and SEC football and basketball games through Raycom Sports, and later University of Louisville and ACC football and basketball games, also through Raycom Sports. 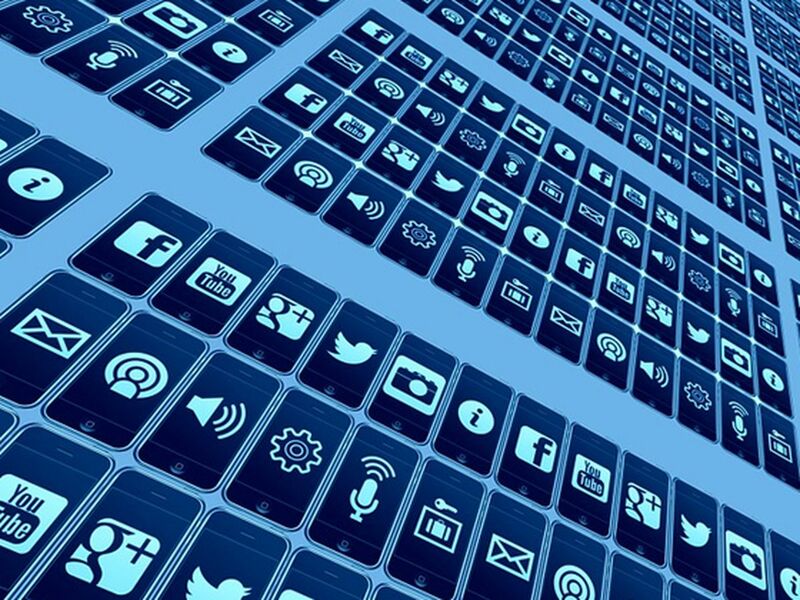 Another feather in WAVE's fedora of firsts was its weather Facebook page, which has always had the most fans of any local station's weather Facebook page, and the first station to broadcast HD news. We’ve partnered with the Salvation Army’s Angel Tree program every year since it began more than 30 years ago. We mail books every month to more than 1,500 children through the Imagination Library program and help raise hundreds of thousands of dollars each year for Norton Children’s Hospital, and many other organizations. In 2015, WAVE 3 News introduced Inside The Rail (Get it for iOS | Android) , the Louisville television market’s only mobile app dedicated exclusively to the Kentucky Derby. Legendary turf writers Billy Reed and Jennie Rees, plus Pulitzer Prize-winning photographer Dan Dry are the headlining contributors to the app that has treated racing fans to robust coverage of two Triple Crown champions the last three years. One of WAVE 3 News’ most memorable moments took place during the week following Muhammad Ali’s death in June 2016. The station was honored to share its digital livestreams to viewers around the world, first of his jenazah service – a traditional Muslim prayer service – at the Kentucky Exposition Center, and then his funeral procession throughout Louisville, and service -- at the KFC Yum! Center -- the following day. The week was a true celebration of the life of The Greatest. Our eight-hour live television coverage of the funeral procession and service was also simulcast live on the Bounce TV network nationally. In 2017, WAVE 3 News rolled out a ROKU app, an Amazon Fire app and Derby City Weekend. The ROKU and Amazon products offer live and on-demand video viewing of WAVE 3 News content for cord-cutters. Derby City Weekend highlights local places and happenings and the people and personalities behind them, providing a look at the finest the area offers in arts, music, theatre, culinary excellence and the famous bourbon trail. Visit DerbyCityWeekend.com here, or if you prefer mobile apps, Apple users can get the app here, and Android users can get it here. In 2019, Atlanta-based Gray Television merged with Raycom Media, creating the third-largest broadcast operator in America. Digital cable subscribers and viewers with antennas can view two other WAVE channels -- Bounce TV and Grit TV. Bounce’s program lineup is targeted largely to an African-American audience, and Grit shows classic TV series and movies aimed at 25-to-55-year-old male viewers. John Boel’s wins for best news anchor three of the past four years put his career Emmy Award total at 87, but he’s even more proud of his wife and two daughters. 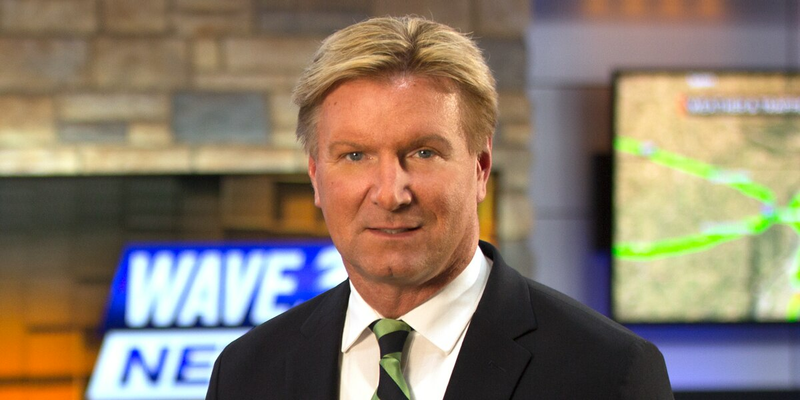 Kent Taylor took over as just the fourth 11 o’clock sports anchor in WAVE 3 history in January of 2002. 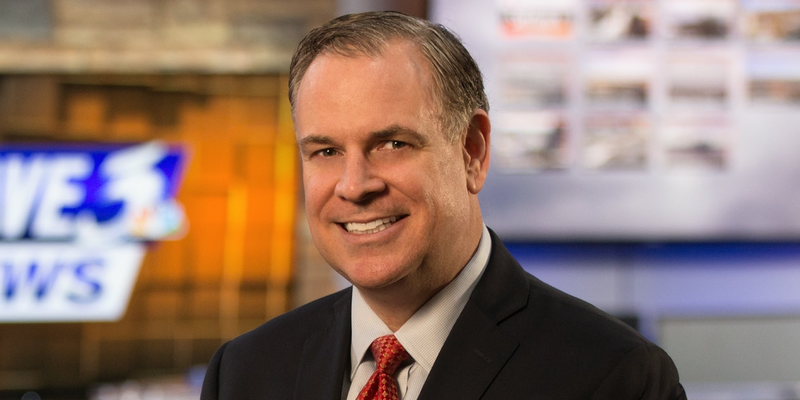 He was named “Kentucky TV Sportscaster of the Year” by the Associated Press in 2008, 2009, 2012, and 2015. Taylor also won for Best Sports Play-by-Play in 2015 and 2016.